Connacht’s fantastic Guinness Pro 12 triumph which raised the league standard with their offloading, expansive style of play. The emergence of Dillane, Bealham, McGinty, Marmion, Healy, O’Halloran to name but a few as well as the leadership of Muldoon, Muldowney were to the fore. Their final performance against a strongly fancied Leinster team in Edinburgh was sublime. Four strong provinces of Ireland. The national side benefited as a result. Tipperary’s performance against Kilkenny in the All Ireland SHC final last September. Their ability to execute a game plan which exposed Kilkenny’s full back line and allowed the likes of Callanan, O’Dwyer and John McGrath to flourish in the full forward line was a managerial masterstroke. Apart from Clare in the NHL semi-final, Kilkenny took all comers but they had no answers off the bench to stem the flow of ball into the Tipperary full forward line. Kilkenny will be back next year but the rest of the chasing pack have renewed hope and confidence. An excellent hurling championship beckons. The skill set of Austin Gleeson. The player is a freak of nature; has all the traits to become one of the hurling greats. Gleeson started in the half back line but the versatility of the youngster was evident in his performances in the half forward line towards the end of the season. 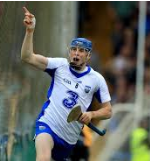 Double award winning hurler of the year, Gleeson has the hurling world at his feet, will be interesting if the Deise county can get over the line and win Liam McCarthy next season. Waterford U21 hurling team performances this season; one of the best teams in this age grade in the history of the competition. Their first touch, superb passing and goal scored were hallmarks of their season in this grade and they demolished Clare, Tipp, Antrim and Galway enroute to final glory. Shane Bennett was to the fore; a young man in the same career path ascent like Austin Gleeson. Massive underage potential in Waterford. The all conquering Dublin football team. Their skill and power was too much for everyone in the championship this season. Their demolition of Kerry in the NFL final was an indicator of what was to follow in Leinster. Jim Gavin negotiated the absence of defensive absentees with Cooper and Small slotting seamlessly into the back line. Diarmuid Connolly class was evident in the opposition fascination to nullify his influence but it allowed players like Dean Rock more time and space to score points. Mayo gave it as good a crack as anyone but Dublin’s overall squad depth came through. A memorable year for the Dublin and few will back against them retaining Sam Maguire next season. Mayo U21 Football Success – hope springs eternal? Gaelic Football fans sometimes have short memories. Recast our minds back to Cusack Park, Ennis on April 30th and Mayo U21 footballers won a thrilling U21 football final over Cork. The emergence of Stephen Coen, Diarmuid O’Connor during this encounter should be signs of optimism for Mayo football fans despite the pot shots currently taking place by ex-manager, former players and current players of the senior panel. Leicester City – underdog come good. EPL Champions. 2016 is Leicester City. A triumph which mirrored that of Connacht in the Pro 12 league. Leicester were given little chance even in January to be in the title shakeup but with a resolute defense led by Schmeichel, Morgan, Huth, Simpson, Fuchs; a hard working midfield with Kante and Drinkwater to the fore setting the platform for the likes of Mahrez and Vardy to score the goals to propel the Foxes to the league title. It was a victory for the underdog in a league where money wins over shrewd transfers signings typically. Leicester’s triumph will live long in the memory as a a story like this will not happen again for years to come. The definition of determination and resiliency. The Dublin native was a forlorn figure four years ago in Weymouth having missed out on a medal. Fourth place is a horrible position for any athlete to occupy in an Olympics; some athletes would have being finished after such a heartbreaking final day performance but Murphy regrouped and worked hard to secure her thoroughly deserved Olympic medal. Her diligence in researching the Rio course was paramount and her superb performances on the water were to the fore. An incredible role model for Ireland. The opening week of the Rio Olympics was filled with negative stories associated with Ireland. Shameful ticket distribution controversy, underpar Ireland boxing team performances which raised questions on preparation and failed drug testing results plighted the Ireland camp but then arrived the Skib’s finest rowing brothers to lift the mood of the nation. Their interviews with Joe Stack were sublime; they pulled like dogs to secure the silver medal and Paul went onto to further European rowing triumph in Rotterdam. Their fun loving style was legendary; their performances on the water were emphatic. 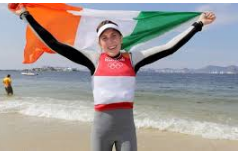 Like Annalise Murphy, incredible role models to the country and rescued our Olympic reputation in Rio. An incredible medal haul from Paralympic Ireland. Massive respect to the Paralympic movement for taking a zero drug tolerance stance to Russia; someone the IOC failed miserably to take. Jason Smyth, Michael McKillop continued their success but other Irish athlete parties came to promince. Eoghan Clifford, Katie-George Dunlevy / Eve McCrystal. The future is bright with sixteen year old Noelle Lenihan who swam to a bronze medal. Inspiring two weeks of action and the team did the country proud. 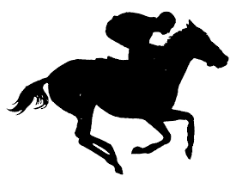 In flat and national hunt, Ireland success was frequent. Willie Mullins, Aidan O’Brien, Gordon Elliott, Mouse Morris, Dermot Weld all won notable races in this calendar year. O’Brien’s procession in the Arc was the highlight from my perspective; hard enough to get one horse to place in such a prestigious event but to train a 1,2,3 in the French golden ribbon was superb. Shocking that Rte failed to acknowledge a sporting arena which has yielded so much success year in, year out and raises credibility issues on the Sports Year Awards ceremony. Best Irish boxer of his generation. Frampton had a superb 2016. He beat Scott Quigg in Manchester and then went onto beat Leo Santa Cruz in one of the fights of the year at Madison Square Garden. The tale of the tape is clear. In 2016, Frampton unified the Super Bantamweight Championsip and then went onto win the WBA Super Featherweight champion but obviously not good enough to get into the BBC Sports Personality of the Year list. His rematch to Leo Santa Cruz in Las Vegas promises to be as explosive as their first encounter. 2017 potentially could eclipse 2016 for the Belfast native. The most recognizable athlete in MMA, Conor McGregor had a superb 2016. Despite losing to Nate Diaz earlier in the year, McGregor dusted himself down and won the rematch. 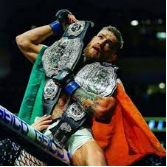 His victory over Alvarez at the back end of the year resulted in McGregor being a two weight world champion simultaneously for the first time in the sport. His promotional skills, his athleticism and striking ability has resulted in massive PPV numbers. Dana White will need to thread carefully with his most marketable product; signs of friction are there. It will be an interesting year for the Crumlin native. His Rte Sport award was just reward for a stellar year.